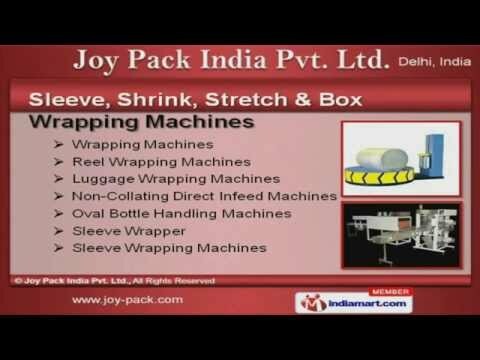 Welcome to Joy Pack India Private Limited, Manufacturer and Exporter of Packaging Machines. The company was established in the year 1995. We have spread our wings to Indian Subcontinent and East Asia we serve to Cosmetic and Confectionery Industry. Excellent logistic support, International quality standards and Specialized R and D department are the plus points of our organization. We offer a wide assortment of Shrink Packing, Automatic Seal Cut and Box Wrapping Machines. Our Sleeve, Shrink, Stretch and Box Wrapping Machines are best in the industry amongst others. We offer Semi Automatic L Type Sealing and Shrink Packing Machines are well known for their impeccable performance. We also provide Automatic High Speed Side Sealer Machines that are setting a benchmark in the market. We are known in the industry as the manufacturer of Automatic Sleeve Type Machine Series. We are a leading firm engaged in offering Shrink Tunnel, Automatic Seal Cut and Shrink Machines that are highly efficient.